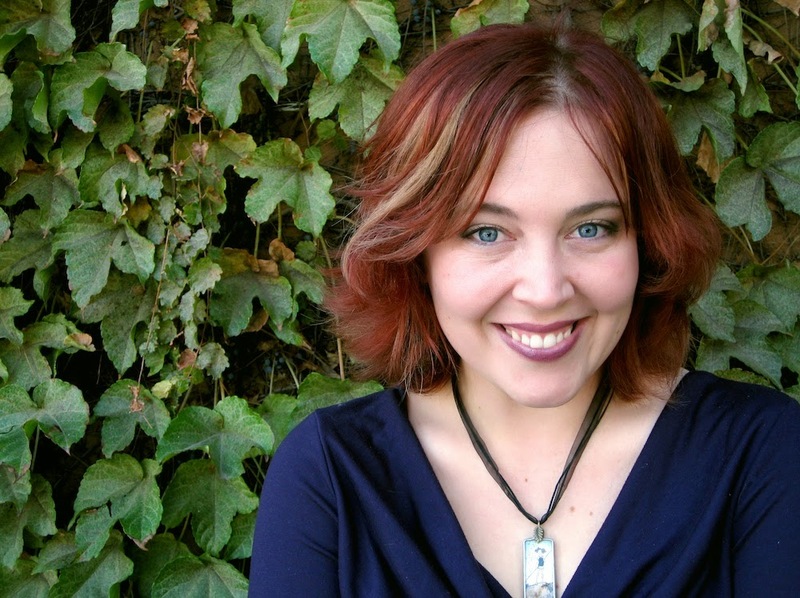 Author Tessa Gratton is here today at Adventures of Cecelia Bedelia with a guest post. Her new YA fantasy The Strange Maid features a girl who would sacrifice all to be a Valkyrie, and is set in The United States of Asgard, an alternate version of North America. 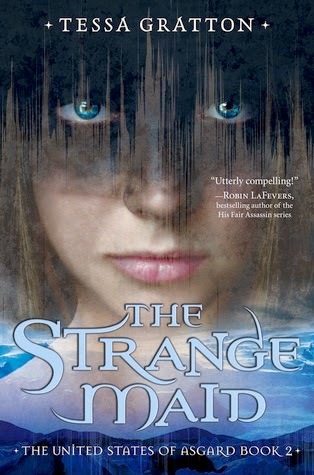 The Strange Maid was released by Random House Books for Young Readers on June 10, 2014. Check out the end of the post for a giveaway! When Tessa was a kid, she wanted to be a wizard. Or a paleontologist. Maybe both.She’s neither now, but magic and monsters are still her favorite things. Despite having traveled all over the world, she settled in Kansas where the sunsets are all in Technicolor, with her partner, two cats, and a mutant mutt named Grendel. You can learn more about Tessa and her books at TessaGratton.com and on Twitter. Born to immigrants from Eireland nearly one hundred years ago in New Amsterdam City, with a frail constitution and parents dedicated to Tyr the Just, Steve Josephson seemed an unlikely candidate for such a shining and long-reaching destiny as the one woven for him. Perhaps Freya the Witch herself might have seen the knot, and preserved him through childhood illness and the deaths of both his parents, but she’ll never admit it. When the misguided cult of Odin stirred across the ocean and began the Second Eurland War, the United States of Asgard tried to stay out of it, reverting to isolationist policies the government adopted in the wake of the Thrall’s War which had divided the country – and the gods – eighty years beforehand. But when news reached the Alfather and his administration that the cult in Deutschland had begun experimenting with super-solider serums in order to create their own cast of warriors to match the magically-born berserkers of the Alfather’s own line, the USA entered the war. Though the Alfather’s priority was ending the offensive project, Thor Thunderer had always been a champion of humanity and equality and wanted to fight for the sake of the people of Eurland. He agreed with his generals who suggested soldiers as strong as berserkers but without their inherent weaknesses of madness and lack of control could turn the tide of conflicts for the rest of time. The Thunderer disliked secret projects, but reluctantly agreed to shelter a group of his military scientists who began looking into the super-serum. Though there was much trial and error, eventually Steve Josephson was chosen to receive the experimental dose. He took to it mightily. Having already gone against his family’s dedication Tyr the Just in favor of the Thunderer, Steve had spend his life standing up to bullies and defending the weak – despite being weak himself. He proved to have the strength of heart and courage necessary to survive the serum, waking with super strength and a vastly improve war-machine of a body. The Alfather was predictably furious, and refused to allow the newly dubbed Captain Asgardia to fight. Steve was relegated to raising money for the real soldiers, until he took matters into his own, super-strong hands and bucked the Alfather’s authority to follow his heart and favored god into battle. History shows us how he used his power to help turn the tide of the war, and though he did not survive the war, his ultimate sacrifice appeased the Alfather – the god of sacrifice – and Odin helped the Thunderer in later years to enshrine the name of Captain Asgardia as the ultimate hero of New Asgard. Both while he was performing to raise funds and while he fought bravely as a symbol of Asgardian values, Captain Asgardia wore a uniform based upon the US flag: red, green, and blue for the highest gods, with wing-symbols for the Alfather’s bloodthirsty Valkyrie, lightning bolts for the Thunderer’s bravery, and red stripes for Freyr the Satisfied’s drive and passion. His shield was shaped by the last of the elves-under-the-mountain from their horded extra-terrestrial steel. Onto it was imprinted the Seal of New Asgard: blue and silver with a silver apple of immortality and nine stars for the nine supreme gods and nine Valkyrie and nine years of presidential service. Though some have speculated after his death he was raised to the Valhol to become one of Odin’s immortal warriors, most agree his bones wait somewhere at the cold bottom of the ocean for the day when Thor Thunderer calls all his faithful servants up from death to join him in the final battle. Thank you for sharing that, Tessa! I imagine I’ll be daydreaming about Chris Evans all day now (that’s what you meant to happen, right?!). If this post has sparked your interest in The Strange Maid (or The Lost Sun, United States of Asgard Book #1), please enter the giveaway! Tessa will send a signed copy of The Strange Maid to one lucky winner, and a signed copy of The Lost Sun to another. TWO SIGNED BOOKS! *happy dance* To enter, simply fill out the FORM. Giveaway open to US addresses only, will end on Wednesday, June 18th at 11:59pm EST. Winner will be notified via email. Good luck! Fine print: Giveaway books provided and shipped by the author. I received no compensation for this post. Thanks for the great guest post! This sounds like a book I'd like, so thanks for the giveaway too! I'd like to third saying this was a super fun book, and I'm now very interested in the book! Thanks to you & Tessa for the contest! Love Captain Asgardia.